Eyeglasses featuring Telescope Spectacles cost ranges from $1500 to $3000. The average cost is about $2500 which includes measuring, fitting, adjusting, and instruction in use. Glare Control and Proper Illumination are two closely related and important factors in using residual vision. 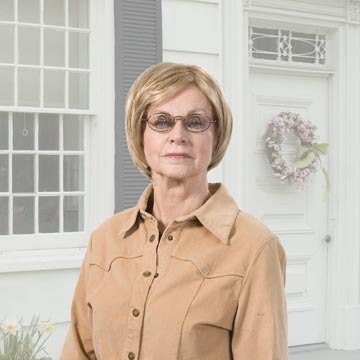 In the Low Vision Evaluation, we determine the most effective means of reducing glare for the patient and the proper amount and type of illumination required. Filters of various colors and transmissions are used for glare control and to optimize vision under specific lighting conditions for specific tasks. When strong illumination is required a gooseneck floor or table lamp is recommended. Bringing the light source closer is more effective than increasing the bulb strength. A 50 watt bulb at 12 inches from the page is much brighter than a 300 watt bulb 3 feet from the page and produces less heat. Electronic Visual Aids make use of a zoom television camera to magnify your materials onto a television screen. There are different ways of doing this but all use the same principles. When you buy the system, you can have the camera positioned in a number of different ways, depending on your needs. 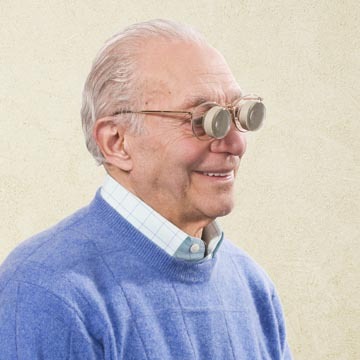 Magnifying Eyeglasses combine a correction for the patient’s refractive error with the amount of magnification needed. How close the material must be held depends upon the amount of magnification. 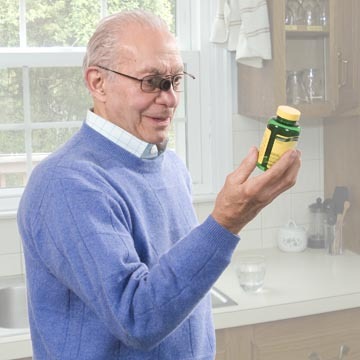 During the Low Vision Evaluation, we teach patients how to hold material at the proper distance for the magnifying lens prescribed. 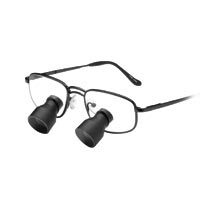 Binoculars placed into eyeglass frames are called Telescopic Spectacles. They can be monocular (one eye) or binocular. The telescope can be placed in various positions depending on what the vision needs are. Full Diameter Telescopes These telescopes are especially suited for such distance tasks as watching T.V., going to the Theatre, sporting events, or spotting distance stock market quotations – anything that can be done while the patient is stationary. Bioptic Telescopes When the telescope is mounted on top, the user can switch between the regular lens and the magnified lens. 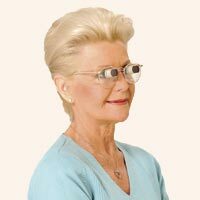 In special cases, these can be used for DRIVING, to “zoom” in on signs or objects. 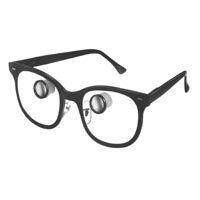 Some people use them at concerts, plays, lectures and during church to see faces better. 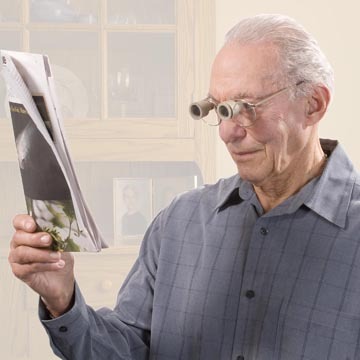 The “bi-optic” can be used for walking/mobility type activities. Spiral Galilean Telescopes The ability to focus these Telescopes without the need of reading caps provides a flexibility not previously available and allow the patient to focus from a near point of 12 inches to infinity. Spiral Expanded Field Telescopes (Keplerian Telescopes) give the patient maximum flexibility in its use. Politzer Full Diameter and Bioptic Telescopes This design will afford the patient’s eye more room to roam through the viewing field thereby reducing eye strain. Politzer Micro Spiral Galilean Telescopes represent the next evolutionary step in the creation of more cosmetically appealing telescopes for the Low Vision patient. The front spiraling feature allows the patient to change the focal length from distant to near. This of course, gives your patient sharper focus. Reading Telescopes are telescopic systems designed for occupation and reading distances. They allow an increased working distance from that which is found with a comparably-powered microscope (reading lens), while still maintaining an adequate magnification level. Students, electricians and office workers are just a few examples of the types of people who would benefit from this type of aid. Eagle Eye Telescopic Systems This Telescope is very helpful for patients who have eccentric vision in addition to patients who wish to have a more cosmetically acceptable unit than previously available.